The First Amendment to the U.S. Constitution fully and uncompromisingly protects your right to free speech in California and in every other state. Everyone in the United States has a legal right to express an opinion, no matter how unpopular or offensive that opinion might be. As an assault and battery law firm, we know that the law has always placed some reasonable restrictions on freedom of speech. Slander and libel, for example, are against the law in all fifty states. And in the state of California, while your right to free speech fully protects the expression of your opinions, it does not extend to libel, slander, or threats of violence, and you may not intimidate another person with a threat of violence. That’s considered “making a criminal threat,” and in California, it’s against the law. Anyone who is accused of making a criminal threat in Southern California will need the help of an experienced Long Beach criminal defense attorney. 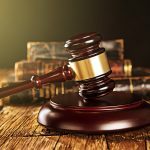 If you are charged with making a criminal threat, the state must prove your guilt beyond a reasonable doubt, and in cases that involve speech, that’s not always easy. Anyone could be misheard, misunderstood, or wrongly identified as the person who made a criminal threat. Sometimes, allegations about criminal threats have been completely fabricated. An experienced defense attorney will work hard to have a criminal threats charge against a client dismissed or to win a not guilty verdict at trial. PRECISELY WHAT IS A CRIMINAL THREAT? What constitutes a “criminal threat” in this state? Under California Penal Code 422, making a criminal threat can be charged either as a felony or as a misdemeanor. Making a criminal threat is making a threat to kill or injure someone that is specific and unequivocal enough to put the alleged victim in “sustained fear” for his or her life or safety or the lives and safety of his or her family. A criminal threat can be verbal – that is, spoken – or put in writing, and it can be conveyed either face-to-face, through a third person or a service like UPS or the Postal Service, or delivered electronically. It’s wise to be careful what you say, because California will not allow verbal criminal threats to go unpenalized. In 2015, for example, a La Mesa man, John David Weissinger, was convicted on a felony criminal threats charge after making threatening phone calls to a prominent Islamic organization. The calls were recorded, and the recordings, which were heard in court, provided undeniable evidence of Weissinger’s guilt. However, a court ruling in another recent case will make it harder for the state to win convictions against criminal threat defendants when the alleged threat is non-verbal rather than verbal. CAN NON-VERBAL GESTURES BE CONSIDERED CRIMINAL THREATS? In June, the California Supreme Court determined that a menacing nonverbal gesture does not constitute a criminal threat under California law. Back in 2013, a Riverside County man, Mario Gonzalez, was prosecuted for making a criminal threat because of physical gestures he made that were perceived as threatening by an off-duty police officer and his friends at a restaurant in Indio. Gonzalez made a hand sign that is the symbol of a street gang, and then he pointed a finger at the group to simulate a gun. The officer and his friends said the gestures alarmed them and were intended to induce fear. Gonzalez was charged with five counts of making a criminal threat. 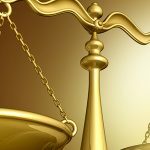 Initially, those charges were dismissed by a Superior Court judge, but the California Attorney General appealed that dismissal and the charges were reinstated. Gonzalez then appealed to the California Supreme Court, which reversed the appeals decision and affirmed the Superior Court’s original dismissal of the criminal threat charges. 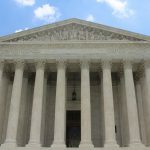 The justices indicated that the California State Legislature may amend the law to include symbolic nonverbal gestures, but for now, the high court ruled unanimously that such gestures do not constitute a crime. HOW CAN SOMEONE WHO MADE A CRIMINAL THREAT BE CONVICTED? However, if someone in California makes a verbal criminal threat against another person and accompanies that verbal threat with physically intimidating gestures, a California prosecutor may choose to file an assault charge, and that’s an even more serious offense. Anyone in southern California who is arrested and charged with making a criminal threat – even if you only meant it as a joke – will need skilled legal help. 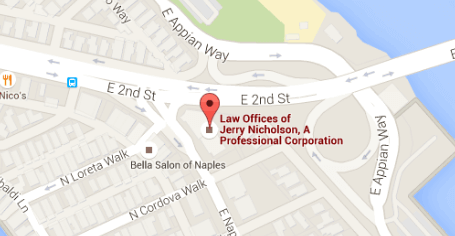 You’ll need to contact an experienced Long Beach criminal defense attorney. The defendant intended to threaten, and then threatened, to kill or inflict physical harm on another person or persons or threatened violence against a building, structure, or facility. The defendant’s threat sounded serious and portended immediate violence. The defendant intended for the threat to be perceived as a threat. The defendant was willing and able to carry out the threat. The defendant’s threat was believable and caused sustained fear in the victim. To convict someone of making a criminal threat in California, a prosecutor must prove each of the five elements listed above. If you are the person who is charged with making a criminal threat, it’s entirely possible that you were misheard, misunderstood, or that you were legally protected because you were speaking in self-defense or legally exercising your freedom of speech. If you are arrested for making a criminal threat, don’t try to explain yourself. The police know how to twist your own words and use them against you in a court of law. Instead, politely exercise your constitutional right to remain silent, insist on having your attorney present during any questioning, and contact an experienced Long Beach criminal defense attorney promptly. If, without thinking, you’ve said something that you really didn’t mean to say, or if someone has wrongly or falsely alleged that you made a criminal threat, you’ll need an experienced California lawyer who can protect your rights and explain your side of the story.